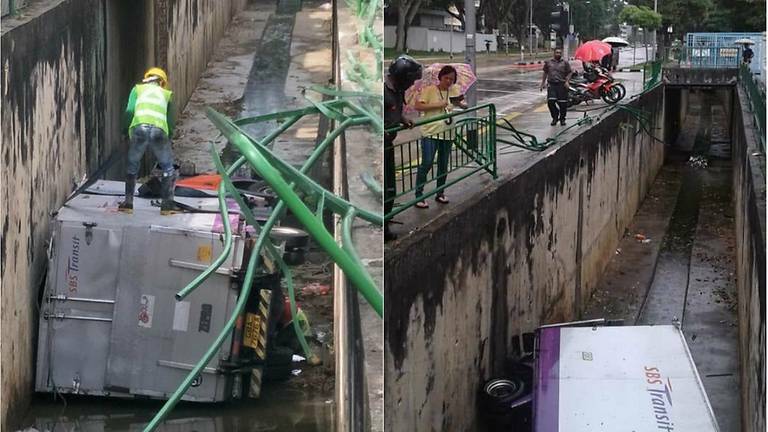 Two men, aged 57 and 29, were injured today after an SBS Transit truck skidded into a drain along Bedok North. 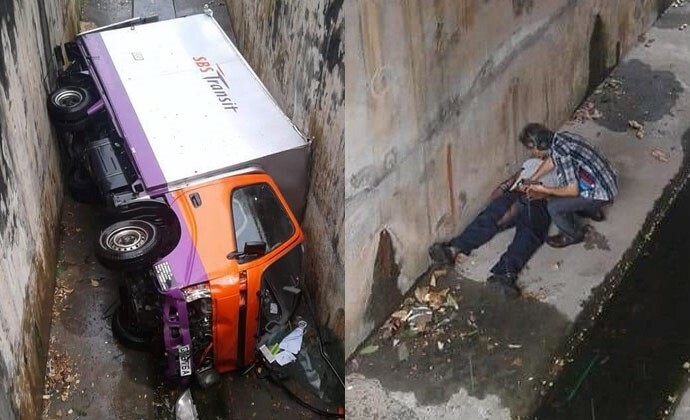 Photos and a video capturing the aftermath of the incident, that occurred along Bedok North Avenue 4 towards Changi South Lane, show the truck lying sideways inside a large drain. Footage capturing the aftermath of the incident also show what appears to be the crash path of the vehicle, as several guards rails that typically line the side of the drain can be seen mangled, laying on the sidewalk. According to the Singapore Civil Defence Force, the incident occurred around 12.40pm and the injured were rescued and conveyed conscious to Changi General Hospital, added the police.